Program barcode to the IC and can read back from the IC. Particular algorithm to realize reading and writing barcode to IC without change user's code. 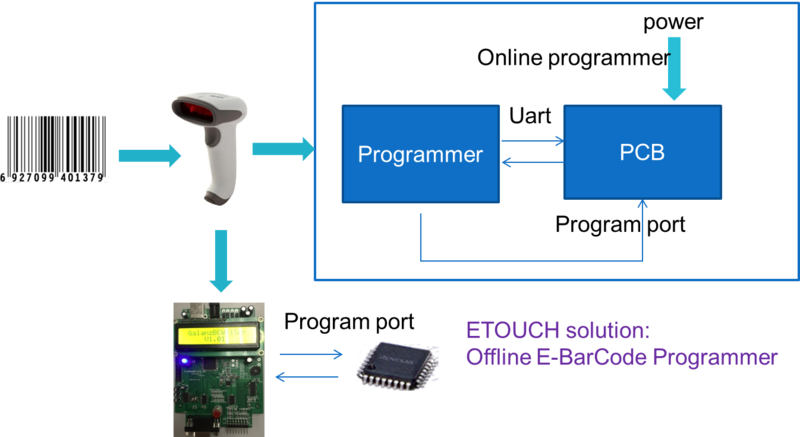 Write the barcode to target mcu automatically after scan,Without external programer. It can alse display the result on LCD,without connect to pc. Which is very easy to use for the operator. It can support the user's application function.To Manager varying capabilities with A fast speed and mass ‍‍memory,which make our product more flexible and adaptability wider. Support the online programing and upgrade automatically.It can program online and upgrade applaction code.Which convenient to upgrade products without change hardware. Special programer can prevent cracking effectively. Do not take up system resource and cost down.